maximize the sale price of your home and minimize the hassle and inconvenience. Your home is likely your most valuable asset, and deserves to be treated as such. You deserve the support and guidance of an experienced team of experts and the Selling Portland Team is ready to help. Our team has the knowledge and dedication required to ensure the successful and profitable sale of your home. The process of preparing, listing, and selling your home has many steps to navigate along the way and the we will be there to guide you through it all; before your home hits the market, throughout the listing period, and to closing and beyond. If you are thinking of selling in the next year, we would be glad to come preview your home and provide you with a current analysis of your home’s value. We can help you identify the ways you can increase your home’s value and connect you with our best vendors to do any work required. Over 90% of home buyers start their search on the internet and we strongly believe that getting noticed on search engines is crucial to a successful sale. 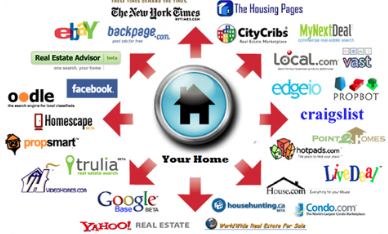 By listing with us, you will get access to placement on Google, Zillow, Realtor.com and over 3,000 other home selling websites. With the vast majority of home buyers beginning their searches online, we strongly believe that a strategic, multi-faceted marketing plan is crucial to the profitable sale of your home. We want buyers to fall in love with your home before they even set foot inside! Our team does a great deal of work in preparation for the listing period to ensure that your home is seen by the largest number of potential buyers. Most notably- we will help you strategically price your home to get the greatest return, offer complimentary professional staging services, and hire a professional photographer at no cost to you to present your home in the best light possible. We believe that a marketing campaign that creates or amplifies demand for your home will generate you a significant financial return. While you are on the market, we will help you with handling all of the showing requests and get agent feedback from every cooperating Realtor that shows your home. Our team will work for you to negotiate and accept the best offer possible, negotiate repairs and mortgage appraisals, and advocate for you in a smooth closing.